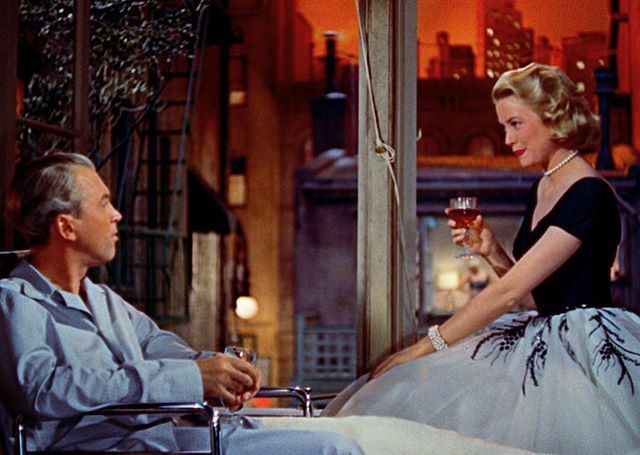 Grace Kelly talking about her day in Rear Window. 1) It’s a Day of Domesticity at Maison Robaire! I simply had to recognize that the house was out of control, and this morning two housekeepers showed up to give the place a thorough cleaning. I’ve only ever done this once before, two years ago before a VIP friend visited - but now I get to be my own VIP. Just as good as an hour of therapy. 1a) Besides, the moving van should be arriving week after next. The decks need to be cleared for the onslaught! Once the housekeepers go I’ll be targeting things for my own tag sale. Interpretation 1: Before dinner I saw on social media that two friends from New York were overnighting in Boston. We met for after-dinner drinks at their hotel and had a good catch-up. Interpretation 2: Imagine the excitement of discovering that Jonathan and William were up from the City - quite impromptu and I had no idea! Eager to dine with them on Saturday, but alas, they were just overnighting. After dinner I rushed down to the Parker House and we flung ourselves into deep chairs by the window in the bar so we could exchange all the news over cocktails. 2a.1) If you read Dorothy Parker’s short story “Diary of a New York Lady” you’ll get the general idea. 3) All the curtains are open right now in all the rooms, something that almost never happens (as most previous roommates will complain). The crocuses are coming up. Spring, renewal, is on the way.